Some teams losing make a lot more people than normal quite happy. 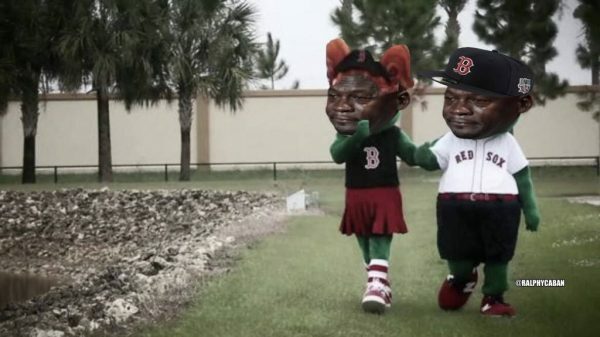 Such is the case with the Boston Red Sox, beaten by the Cleveland Indians in game 1 of their AL division series, which made meme makers rejoice. 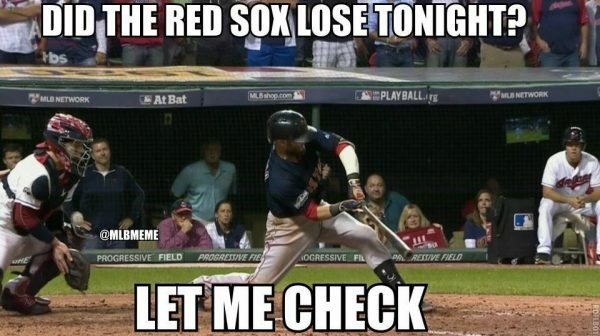 Why so happy about the Red Sox losing? Any time a big club, in terms of history and the size of their bandwagon drops a close game neutral fans put a smile on their faces. But the bigger problem for the Red Sox was how it happened. First it was Rick Porcello, the winningest pitcher this season in the majors, giving up 3 home runs in one inning to lose the lead and basically the game. 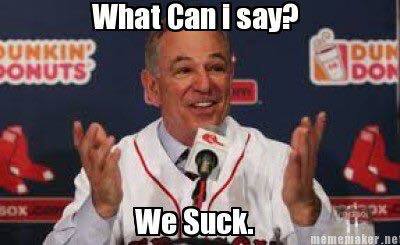 And then came Dustin Pedroia, cementing the Red Sox label as whiners and crybabies. He struck out with two men on base, one run down, ending the game. He and the Red Sox tried making a big deal out of it, claiming it was a controversial call. 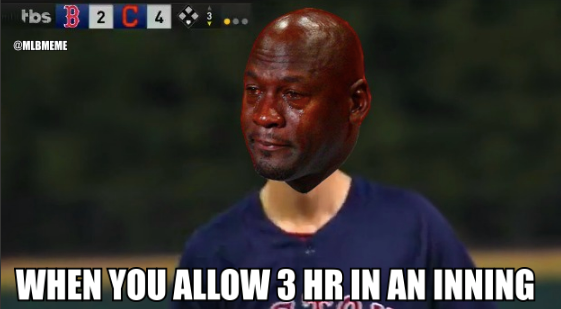 But the truth was: The Red Sox lineup got out-hit, and their best pitcher couldn’t beat the Indians lineup. This might add a little bit of venom into the series, which always makes things more interesting.